There is a crack in everything; that’s how the light gets in. The light gets into us through our broken hearts. Leonard Cohen has written a ridiculous amount of great lines over his long career, but few can compare to “Forget your perfect offering/There is a crack in everything/That’s how the light gets in.” It’s the key line on “Anthem,” one of the standout tracks from his 1992 disc The Future. In conclusion, QI believes that this quotation was not crafted by Ernest Hemingway. 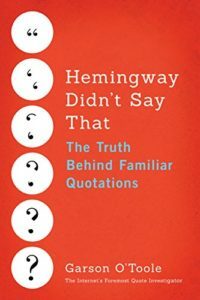 Its exact genesis is uncertain, but QI hypothesizes that the 1929 statement by Hemingway and the 1992 lyric by Leonard Cohen both strongly influenced the evolution of the expression and its ascription. 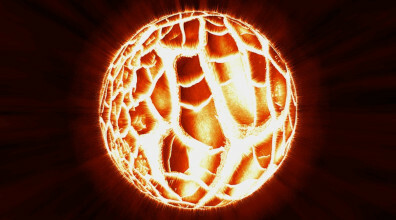 Image Notes: Illuminated ball with cracks by LoganArt at Pixabay. Image has been cropped and resized. Update History on July 23, 2017 the 1995 Rumi citation was added.